People's Choice Beef Jerky is a family run business in the United States making hand made jerky. I believe it is important to support family businesses and local businesses. My husband and I both enjoy beef jerky. He was excited about this box of jerky and likes to try these with a little bit of heat. You can buy Jerky Boxes for yourself or as a gift. You can also buy the box as a subscription. The boxes come in different varieties too. If you like spicy, try the Some Like It Hot box. We also got to try something called Machaca. Machaca is traditional shredded jerky. You can eat it on your own or put it in eggs. We decided to put it in our eggs. It gave the eggs a richer flavor and tasted good. My husband took some to work with him to share with co workers. He said one of them enjoyed the Sweet Chili Habanero. 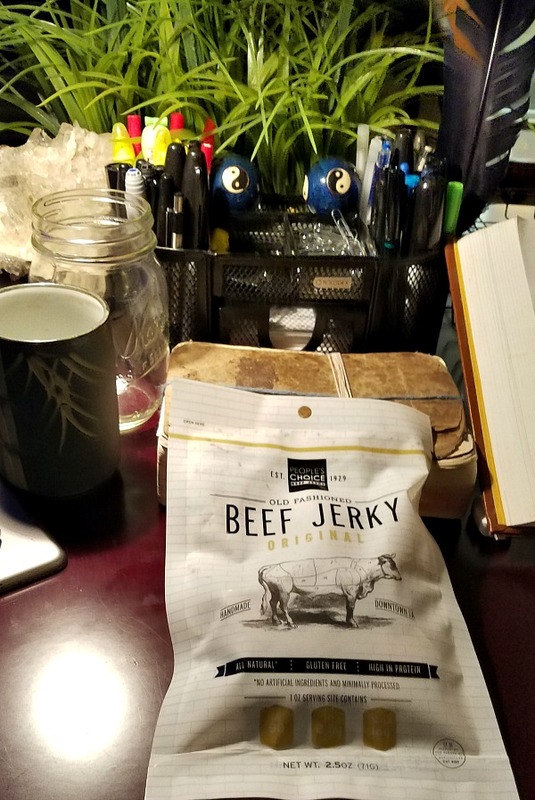 I think jerky is great item to have at your desk. You can sit and snack through out the day, especially if you are too busy to grab lunch. These would also be great to take with you if you go camping or hiking. Throw them in your back pack and you are ready to go with a flavorful treat. You can listen to the story of People's Choice Beef Jerky. Check out their YouTube video below. 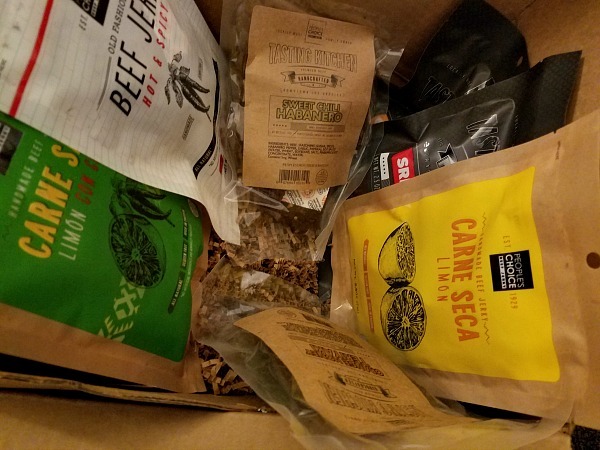 Do you know a jerky lover? I suggest you get a box for them. Christmas will be here before we know it and the individual bags would be great as a stocking stuffer. Beef jerky is the bomb diggity according to me son. He loves it adn we order it from a local store regularly. I need to check this brand out. Believe it or not, I've never tried beef jerky and now I am totally curious to try it! I have never been a fan of beef jerky, but my kids love it. Sounds like some good flavours here for sure. I have enjoyed turkey jerky before, but never heard of this brand. I will have to look ito it. My daughter loves jerky a lot. I'll have to check out all their flavors. My son loves jerky so I think I ought to get him some of this. The jalapeno variety sounds great! Sounds great, my son loves jerky. This would be great on our camping trips.